It might be too late to upload. 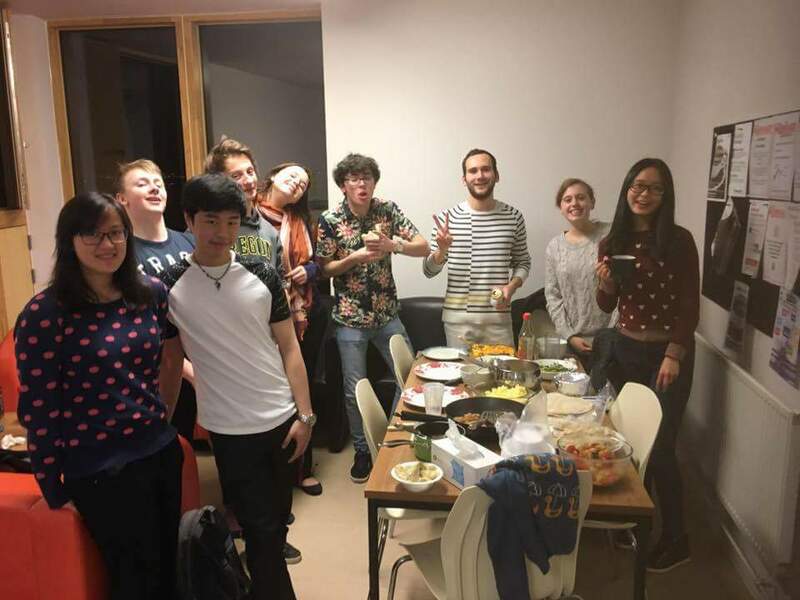 But this photo was taken at last Thanksgiving in University of Leicester. An American exchange student and I celebrated this festival with students in Leicester with different nationalities, mostly British, and also including Italian and Asian. They never celebrated Thanksgiving, so they were so excited about it. We each brought one dish of food and shared with each other. We then played some games and talked a lot. Everybody is so nice and funny. I made many new friends that day. After that day, I felt less unfamiliarity of U.K. and wanted to make more British friends there. Even though I went back to Willamette for one semester, I can still clearly remember what was happened that night. I missed them a lot, and they are precious in my study abroad experience!